While Mo prepares to move into her newly cleaned room at the Sinful Inn, the unexpected happens. Construction workers at the other end uncover a body buried under the concrete. Five years ago, a rich and influential couple, Clyde and Lovena Lane, tried to buy the Sinful Inn. Eugene turned them down, and Clyde disappeared. Everyone thought he died fishing on the bayou. But now Clyde’s back, as a corpse. 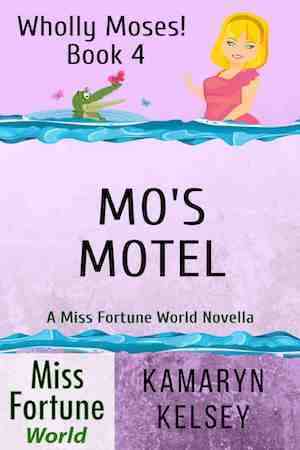 In a series of events that make Mo’s head spin, she finds herself running the Sinful Inn, while Eugene awaits trial. To get Eugene off the hook and save herself from the fiasco at the motel, Mo enlists the aid of her Sinful friends.